If ocean views and space are what you are looking for, look no further. Two units have been combined into one large space with sweeping ocean views of the Santa Monica coastline and Ferris Wheel. This nearly 1800sf spacious 3-bedroom, 3-bathroom residence features one huge living space that combines kitchen, dining area, butler's pantry, inside laundry, and double balcony all overlooking the Pacific. Floor to ceiling and wall to wall glass, frames the best view offered in this full-service luxury building. World class sunsets are guaranteed and there is no better place to call home than this. 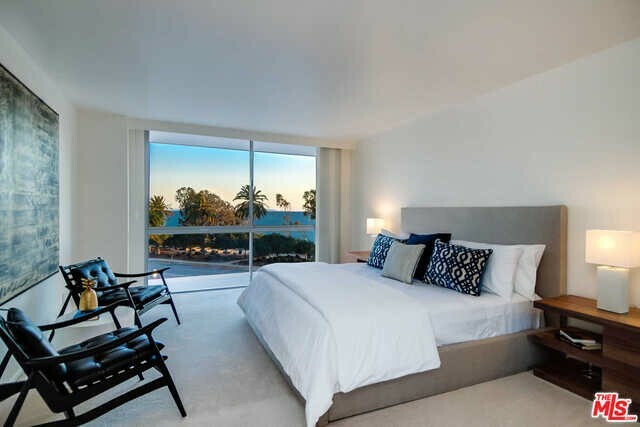 All bedrooms have great views along with good closet space and elegant bathrooms. High-end building features 24-hr valet, security, doormen, pool, spa, and new ocean view gym. A stone's throw from world class restaurants, shopping, and more. Seller may be willing to carry financing. Inquire with listing office for details. Based on information from California Regional Multiple Listing Service, Inc. as of 2/6/2019 12:17:21 PM PST and /or other sources. All data, including all measurements and calculations of area, is obtained from various sources and has not been, and will not be, verified by broker or MLS. All information should be independently reviewed and verified for accuracy. Properties may or may not be listed by the office/agent presenting the information.